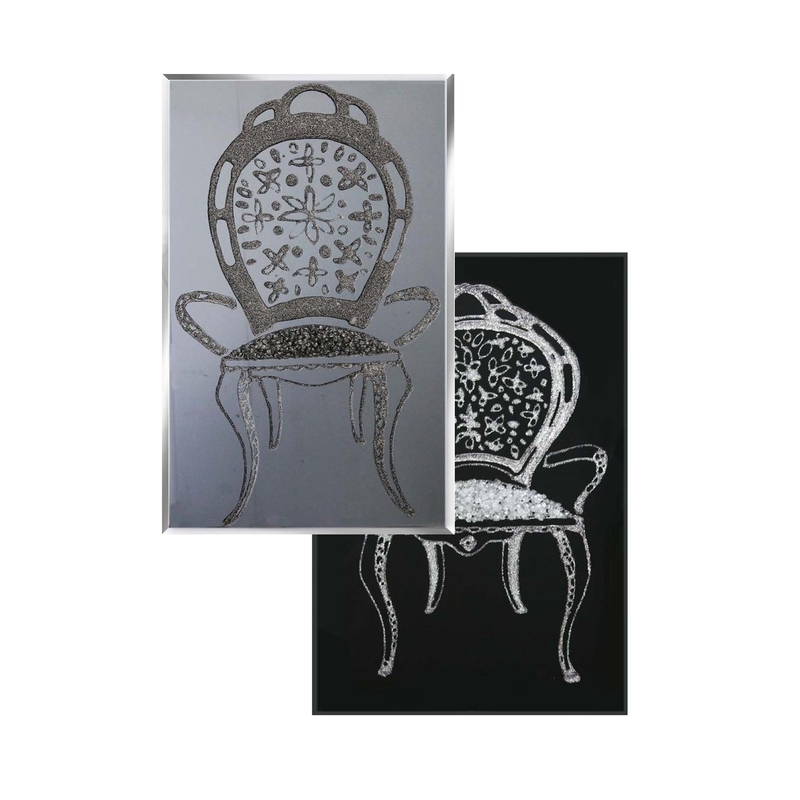 Silver Glitter Louis Chair on Black. Designed & Hand Made in the UK. Give your home a slightly traditional but chic style with our enchanting Glitter Louis Arm Chair. This piece was designed and hand made in the UK and features a vintage style arm chair, with a patterned back cushion and liquid glass seat. Available in two colours and sizes, but you can also custom size your purchase. You are sure to impress with this stunning design.